As seen on This Morning with Dr Chris Steele! The salty atmospheres of salt mines have been used for centuries to ease the symptoms of respiratory system disorders. The SaltPipe, with salt from the Transylvanian Praid Salt Mine, is a handy inhaler that brings the benefits of salt mine therapy to your home. Its salty microclimate calms the cells of the respiratory system and induces their natural self-cleansing mechanism. Salt crystals are placed between the porcelain filters of the device. When using the pipe, the moisture of the passing air absorbs the micron sized salt particles that then penetrate into your respiratory system to achieve the beneficial effects. Active substance: Miocene halit salt crystals. Composition: Sodium Chloride, Magnesium and Calcium. The active ingredients of the inhaler will last for approximately 4 years of normal use. (15-25 minutes per day). Insert the mouthpiece and draw air through the inhaler, breathing normally, and exhaling through the nose. Prolonged inhalation is not required. Do not breathe out through the pipe. When the cleansing process starts, you may experience some coughing or sneezing as your system clears. Recommended duration of usage: 15 - 25 minutes per day. For improved results use the inhaler regularly. To keep your inhaler in good working order, clean with a damp cloth and avoid using water. To be used by one person only, for hygienic reasons. 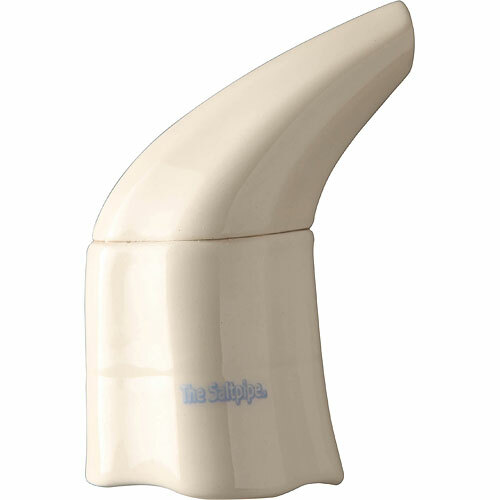 Below are reviews of SaltPipe - Relief From Breathing Problems by bodykind customers. If you have tried this product we'd love to hear what you think so please leave a review. Just replaced 4 yr old pipe with new one. Highly recommend! I am very impressed with this very simple yet effective gadget. I have suffered from bronchitis after every cough and cold I get and it goes on for many weeks. 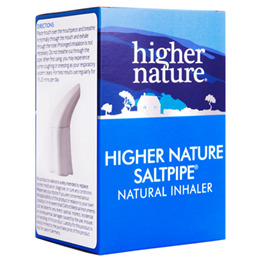 This time after several weeks of chestiness I came across this Salt Pipe by accident as I was looking for natural remedies to take that might help me with my bronchitis. Within about a week of very gentle and sporadic use I noticed an improvement - less mucous and less wheezy coughing bouts. I am certain that the improvements have been down to the salt pipe and not just a coincidence. Up until I used the salt pipe I had not had any change in my symptoms. I'm now back doing my 3K run which I want able to do as I would get such irritated lungs from the breathing. So for me I am very pleased that I gave it a try, I had nothing to lose and everything to gain. I'm not saying that you should expect a cure for disease or you should replace medical treatment if necessary, but it really helped my post virus bronchitis problem. Many thanks for your enquiry on the SaltPipe - Relief From Breathing Problems. I can tell you that with recommended usage of 15-25 minutes inhalation per day, this SaltPipe will last for 4 years. We also stock another SaltPipe called the SaltPipe Mini - which is a re-fillable option. The Salt lasts for approximately 6 months before it would need re-filling again. 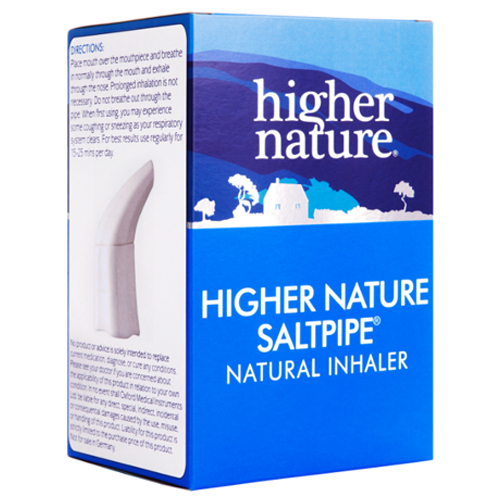 The SaltPipe is a handy inhaler that brings the benefits of salt mine therapy to your home. Its salty microclimate calms the cells of the respiratory system and induces their natural self-cleansing mechanism to help with breathing difficulties.